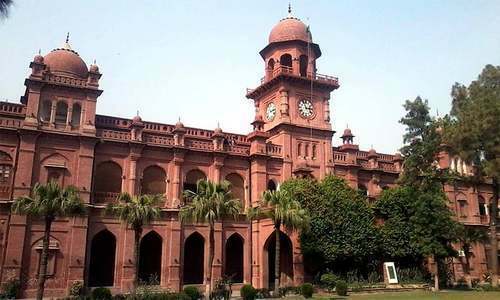 LAHORE: On the direction of Punjab University Vice chancellor Prof Dr Niaz Ahmad Akhtar, a three-member committee has been constituted to look into the matter of budget deficit. According to PU official sources, the committee will review various aspects and reasons to overcome a Rs 2 billion annual budget deficit. The committee members are Faculty of Social and Behavioural Sciences Dean Dr Zakaria Zakir, Principal of College of Earth and Environmental Sciences Dr Sajid Rasheed and syndicate member Dr Mehboob Hussain. Punjab University is the most prominent university of Pakistan. It should be funded generously so that it could balance its books. The proposed committee can work from then on to keep the finances in order. As it is the committee will bog down in its own shoelaces.